So for this week I really had a great haul and fun experiences! Let me share everything to you. 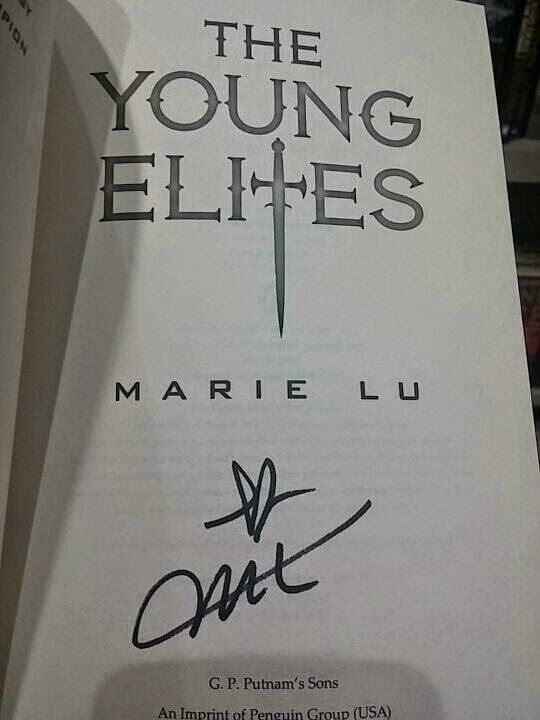 This next book was from National Bookstore (in the local bookstore last November 23) and I bought this during the books signing of Marie Lu. I wasn't able to meet her in person though but it is okay I got my book signed and I bumped into one of the famous Filipino author, one of her famous book is Interim Goddess of Love and her name is Mina V. Esguerra. Lastly, I went book hoarding with my friend Anj because there are lots of book sale and not just that we also did bookstore hopping! we went to three bookstores. It was really fun and I bought five books all in all. Soooooo that's what I bought for this week!! !